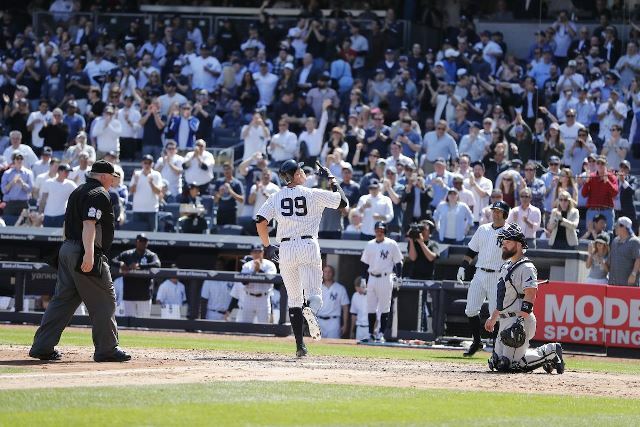 Join the New York Yankees and your fellow Suffolk County Community College Alumni, Students, Faculty, Staff, Families and fans for a fun-filled outing at Yankee Stadium on Friday, July 12th as the Yankees take on the Toronto Blue Jays! 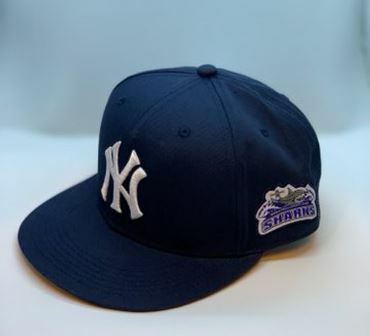 The first 250 fans that purchase through this offer will receive a special custom New York Yankees Hat with the Suffolk County Community College logo! Come talk with Volunteer and Community Service Representatives! Set-up is at 10:30AM. Photographs will be taken at the event. Displays/Exhibits that you will bring: (i.e. guide dogs, art projects, handouts, brochures, displays explaining your organization’s work. *Each class is limited to 18 participants. 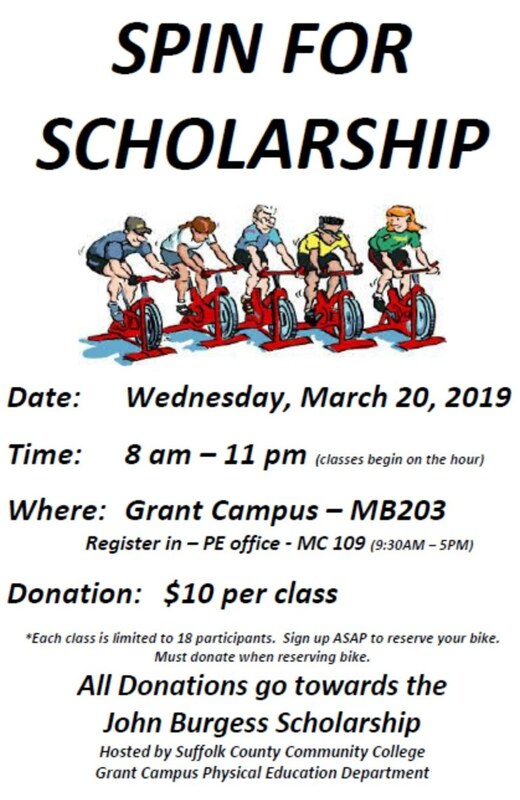 Sign up ASAP to reserve your bike. Must donate when reserving bike. The College’s Automotive Technology Program will again host a forum for participants to share their inspirational stories and professional experiences that occurred along their path to success in the automotive industry. This event has been organized by Assistant Professor Teresa Noto and is supported through the program’s Career and Technical Education Act (CTEA/Perkins IV) grant funds. This year’s event includes a panel of speakers featuring four women in significant automotive dealership leadership positions here on Long Island. The panel will discuss career opportunities that are currently available in the field and will walk participants through a typical work day. Participants will also be able to ask questions, gather information and network in a friendly supportive environment. Please extend an invitation to students, faculty and administrators who might be interested in attending this event. As seating is limited, you are encouraged to RSVP by calling Liz Paterson at (631) 451-4900. “In our region, experienced technicians can make upwards of $100,000 annually,” said David Macholz, Academic Chair and Director of Automotive Technology at Suffolk. While many graduates of the program often become technicians, many students also branch out into other areas, including service, finance, sales and more. A general manager at a Long Island-based dealership will often command a salary of $250,000, with some significantly higher, according to Macholz. Suffolk County Community College offers multiple certificate and A.A.S. degree programs in Automotive Technology that are National Automotive Technician’s Education Foundation (NATEF) certified and designed to prepare students for employment as automobile technicians and professionals at automotive service facilities. New Programs for fall 2019 include an Automotive Business A.A.S. Degree and Automotive Business Certificate options. Suffolk’s automotive programs include academic classes and automotive classes that fulfill the requirements to obtain an A.A.S. degree. The programs offered are the Honda PACT program, the Toyota T-TEN program, the General Motors ASEP program, the General Automotive ATAC, the Automotive Maintenance and Light Repair Certificate and Automotive Business Certificate and A.A.S. programs. You won’t believe your eyes as Jason Bishop, America’s hottest illusionist, mystifies with spellbinding magic, award-winning sleight of hand and grand illusions—all set to a rock and pop soundtrack. Direct from Broadway…Bishop’s funny and truly magical show is guaranteed to make you ask, “How did he do that?” (New York Times). For more information, call 631-851-6589. Benefiting student scholarships and academic programs. Contests: Longest Drive, Closest to the Pin and more! 2019 PGA Championship Final Round at Bethpage Black! To purchase tickets, call 631-451-4458. Only persons 18 years of age or older can purchase raffle tickets. Winner is responsible for all taxes and other expenses associated with the acceptance and/or use of the prize. Odds of winning are dependent upon the number of valid entries received. Raffle tickets are not a tax deductible gift. Not a golfer? Join us for dinner or consider donating auction items. The second annual Suffolk Women in Automotive Group (SWAG) Symposium will seek to provide women who are currently employed in automotive careers or have automotive career aspirations, the opportunity to hear from and interact with some of the leading women in the automotive industry in the greater New York region. The goals of the symposium are to identify methods of obtaining automotive industry knowledge via Suffolk County Community College and through industry mentorship, explain various skill sets necessary for a range of positions, discuss potential salary opportunities and provide best practices and guidance on how to climb the ladder of success in this innovative field. Guest Speakers to be announced. Please RSVP to 631-451-4900 to attend. Sunday, April 7 • 12 p.m. – 3 p.m.
Suffolk County Community College offers you countless opportunities to grow both academically and personally. We invite you to join us for Open House – which will be held on the Michael J. Grant Campus (Brentwood), Ammerman Campus (Selden), Eastern Campus (Riverhead) and Culinary Arts and Hospitality Center (Downtown Riverhead). Support Students: Take a chance to win 2 tickets to the PGA Championship Final Round! Take a chance to win 2 tickets to the PGA Championship Final Round! Suffolk Community College Foundation office at 631-451-4458. Alumni and Friends, wear your Suffolk gear to cheer our Sharks onto victory!